The second round of the inter-Burundian dialogue recently held in Arusha was a success despite some reported irregularities. Opposition and civil society representatives deplore the lack of willingness on the part of the Government of Burundi to find out solutions to the current Burundi crisis, while the latter declares to never sit down with coup plotters. “I notice Burundi Government is trying to delay the dialogue process by sidelining the opposition leaders as well as the supporters of the movement “Halt to the third term of Pierre Nkurunziza arguing that they are prosecuted,” he insisted. For Niyongere, the mediation should consider the Burundi Government as one of the two conflicting parties. It should invite and consult all opposition political parties including civil society organizations involved in public protests against the violation of Burundi Constitution and the Arusha Peace Agreement. He urges the Mediator to impose the Government of Burundi to negotiate with its real antagonists. The ACAT Burundi chairman hopes the dialogue results will depend on the commitment of the East African Heads of States. Thus, Niyongere calls on the latter to fully support the Mediator in organizing an inclusive dialogue. 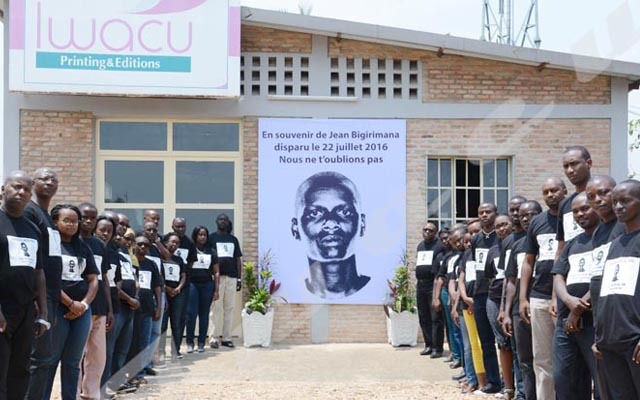 The view is shared by Tatien Sibomana, the spokesman of the Union for National Progress party (UPRONA), the wing which the Government of Burundi doesn’t recognize officially. He deplores the capricious behavior of Burundi Government representatives that did not allow the mediator to officially launch the peace process dialogue. However, the mediation team has been able to respect the program as planned. “The mediator has consulted all participants separately and we have been able to analyze eight questions on the agenda according to their importance to find out solutions to the crisis that has been rocking the country since the past few months”, says Sibomana. Aime Nyamitwe, The Foreign Affairs Minister congratulates the Mediation team on having been able to host the second round of the inter-Burundian dialogue held from 12 to 14 July in Arusha, Tanzania. For him, the meeting brought together many political actors who didn’t attend the first session held in May. “This is a sign of success as Benjamin Mpaka the Facilitator was able to consult all different political actors who were invited in to the meeting”, he mentions. Although civil society and opposition leaders are claiming an inclusive dialogue including armed groups, Minister Nyamitwe states that Burundi Government will never negotiate with coup plotters. “This is the position that we are not ready to change”, he said. He indicated that Burundi Government has never refused to dialogue with people of different views. Alain Aime Nyamitwe stated, however, that the government he represents isn’t willing to dialogue with those who sought to overthrow legitimate institutions. “I have told the mediator very clearly that this will never happen,” he concluded. Knowing under what circumstances the “legimity” of a candidature to a third mandate was arrived at, the attitude of the pro-Nkurunziza faction is highly questionable, if not laughable. They just fear to face opponents who won’t hesitate to call them cheaters and coup perpetrators themselves. The bullies in power in Bujumbura know no shame, only intimidation postures. Who is going to sweep the broom ? When the world is upside down! Why is it so difficult to make a difference between the views of the civil society organisations and the opposition? Is there any clear cut? The time has come for the president of Burundi to become the statesman his country needs by bringing peace, safety and democracy to his country. The time has come for the President to restore peace, safety, democracy to Burundi.